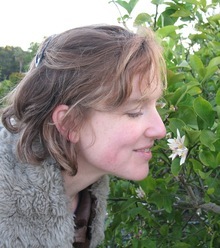 Eliza Douglas is fascinated by all things fragrant. She went to perfumery school in France and currently works for a niche perfumer in New York. She has a passion for the raw materials of perfumery, (the quirkier the better) and loves to share her knowledge and debunk the many myths that float around the industry. She is also the Vice Treasurer for the Academy of Perfumery and Aromatics, the American branch of the Osmotheque in Versailles.